Anyone who travels or has travelled can really appreciate when you find a good relaxing spot that allows you to take a good old break from the sometimes intense business of travelling. In fact, anyone at all can appreciate finding a decent place to stop and just chill. 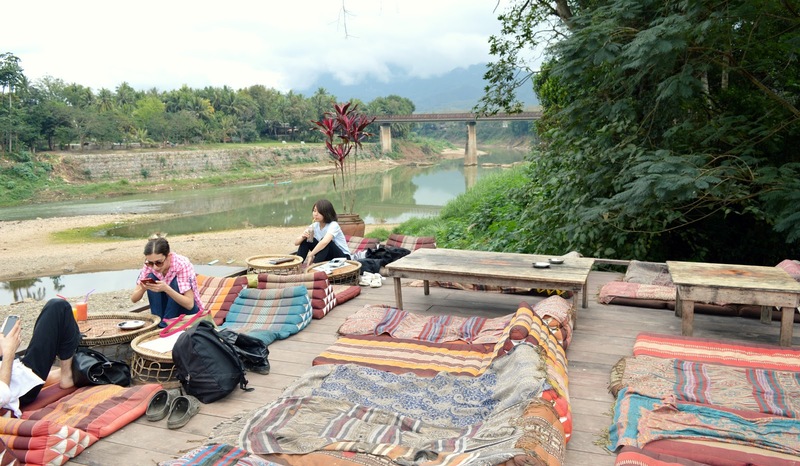 When travelling through Laos earlier this year, Lewis and I came across Utopia, a lovely and unique chilled out daytime bar that turns lively in the evenings in Luang Prabang (Northern Laos). It actually came to earn the 'best bar in Laos' status in my books. 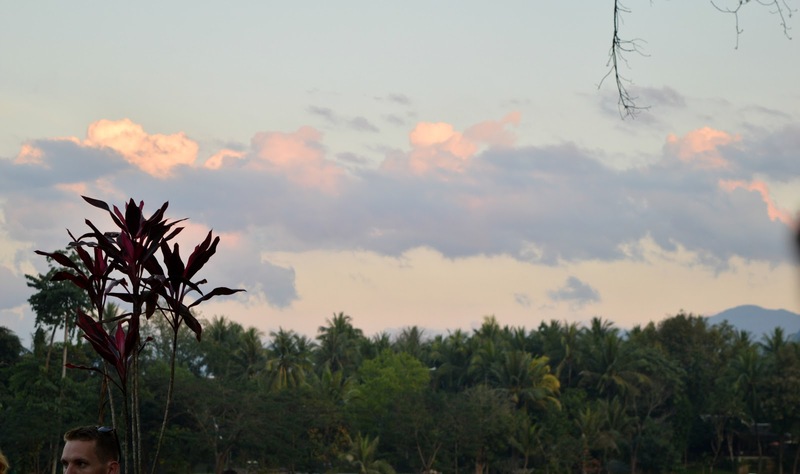 In the mornings you can join in on a peaceful sunset yoga session (which is perfect if you really feel like a relaxing escape) and in the evenings a dance floor is cleared for those for fancy a dance. Lewis and I were staying at a guesthouse just a few minutes walk from Utopia and after doing a little bit of research on the area and reading about the bar, we wanted to visit. Little did we know that we would end up visiting twice again (which is quite unusual as we try to visit different and various places when away). 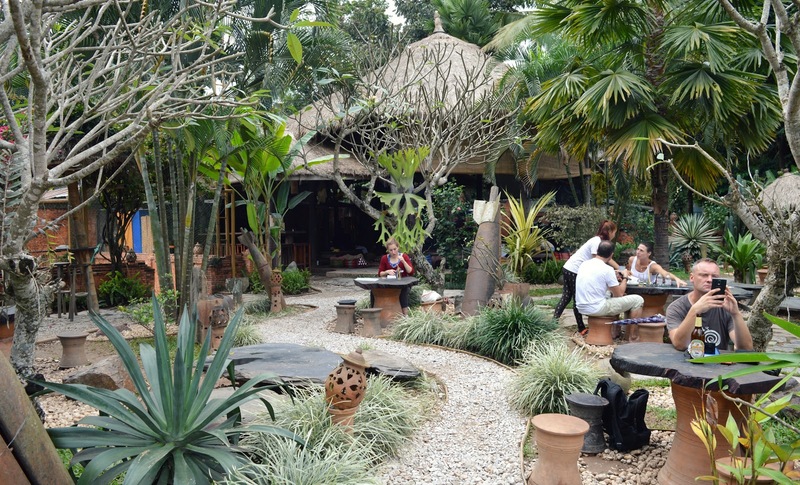 During the day, Utopia is every backpacker's heaven. 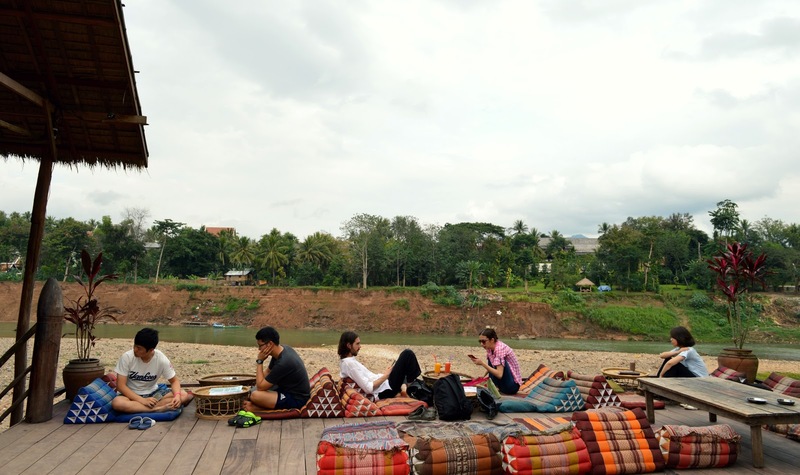 There are comfy cushions and rugs all over the floor, good chilled music, a pretty view of the Nam Khan riverside and there is even a volleyball court for anyone who fancies a game. 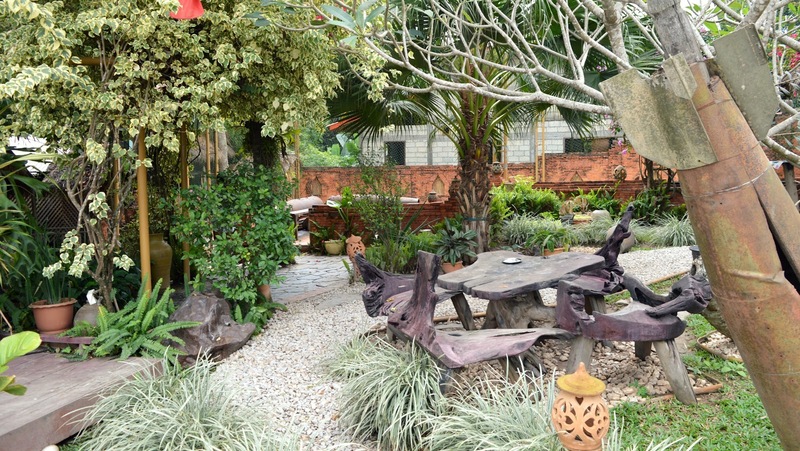 The bar and outside surrounding area is lovely; there is a small garden full of luscious greenery and plants that is equipped with tables and chairs - it is quite the setting and perfect for escaping. Naturally, you can't have a good bar without good food. 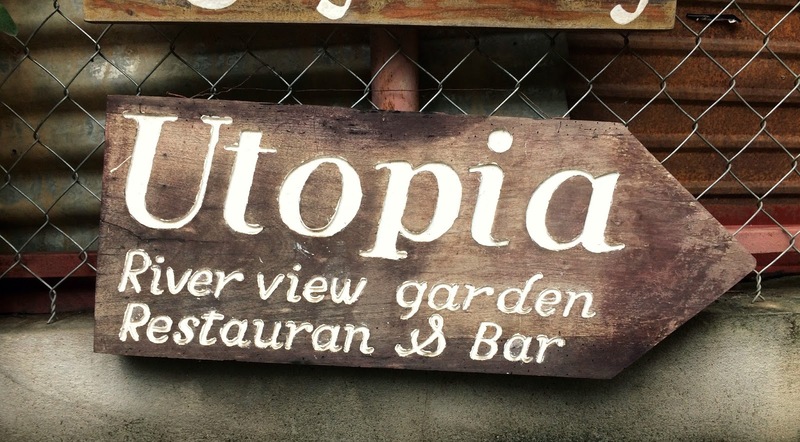 The menu at Utopia is not disappointing - you can get a variety of different dishes including local and western foods and drinks. If you want to try the national Laos dish then this is definitely the place to order it! I ordered the Laap and thought it was amazing. 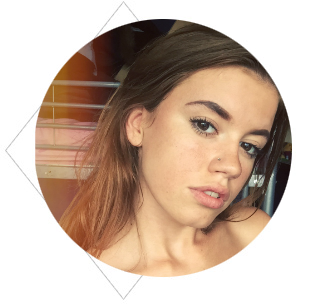 In the evenings the chilled out bar turns into a lively little hub full of backpackers and travellers with music, deals on drinks and an irresistible upbeat vibe that will get you dancing in no time! Oh my goodness what an amazing bar! It looks like it such a lovely place to just sit back and relax and have a good drink. This looks like the coolest, most relaxing place I've seen. 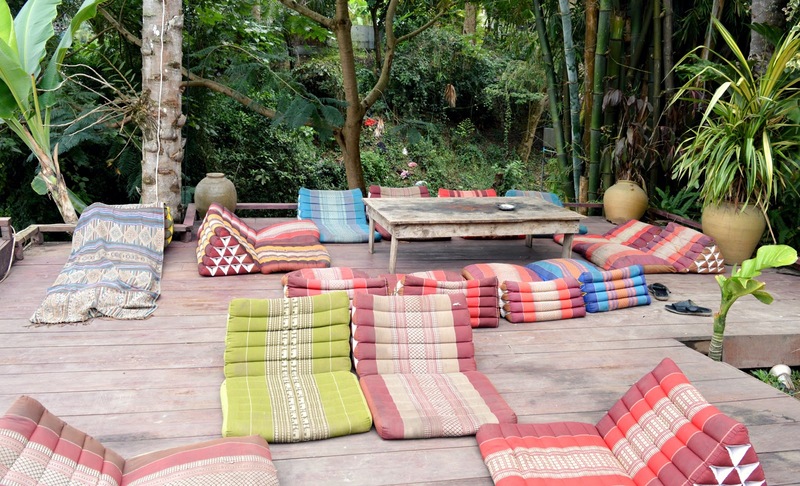 I need to find myself some places like this when travelling. 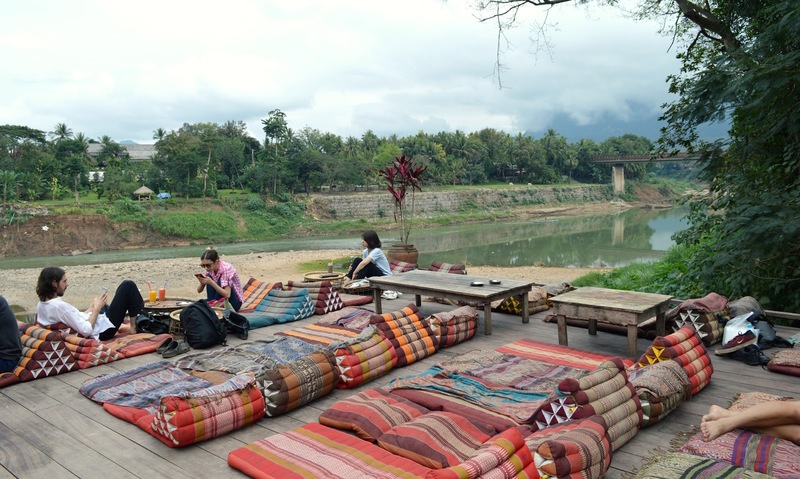 I've always wanted to visit Laos - this sounds like a fab bar! What a great place to sit and relax and have a drink. It looks quite welcoming and picturesque. Wow this looks like an incredible place to sit and relax, what stunning scenery! I can see why you visited more that once, what a relaxing little spot! I love how chilled out and relaxed this bar looks. I could easily spend hours here, my king of place.